The Knit Princess - Cat Needs Space! My cat is the same way. She only weighs about 7 pounds, she’s pretty small, and yet she somehow manages to kick me and my boyfriend off of a queen-sized bed. 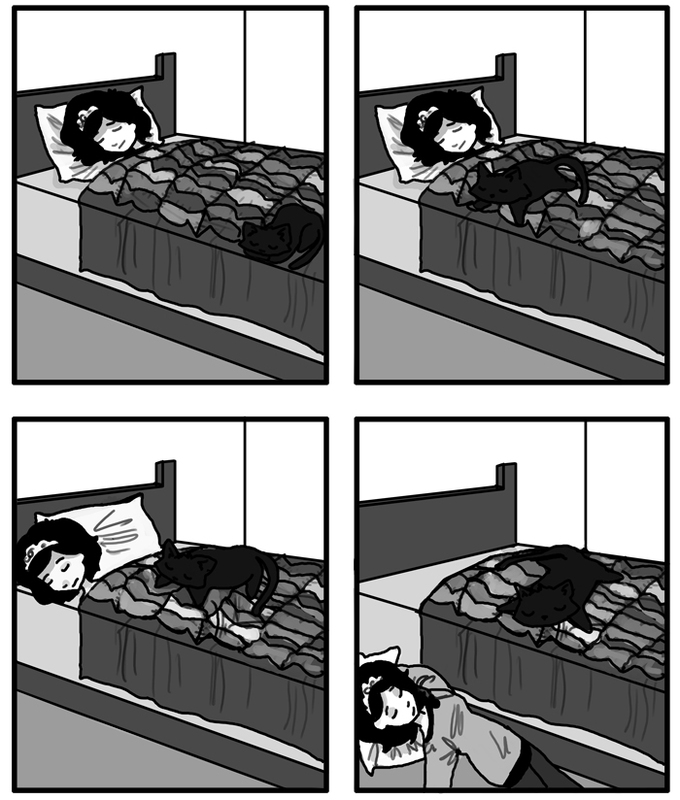 This has happened to me, more times than I care to admit (and that was in a King sized bed!). My little beagle does the same, and I, like Linda am in a king size bed. alone, but that little body can take up the whole thing. Haha…I can so relate to that…both with my dogs and cat.